Somewhat common yet in high demand as a single die marriage Redbook variety. Available in grades up to MS65. PCGS Graded AU53. Attractive orange and gray toned coin with a decent strike. Looks like a properly graded 53 to me, and a tough variety as well. From Sheridan Downey MBS 34, as noted Attractive pale golden toning. The surfaces are free of distractions. Luster is commensurate with the assigned grade. 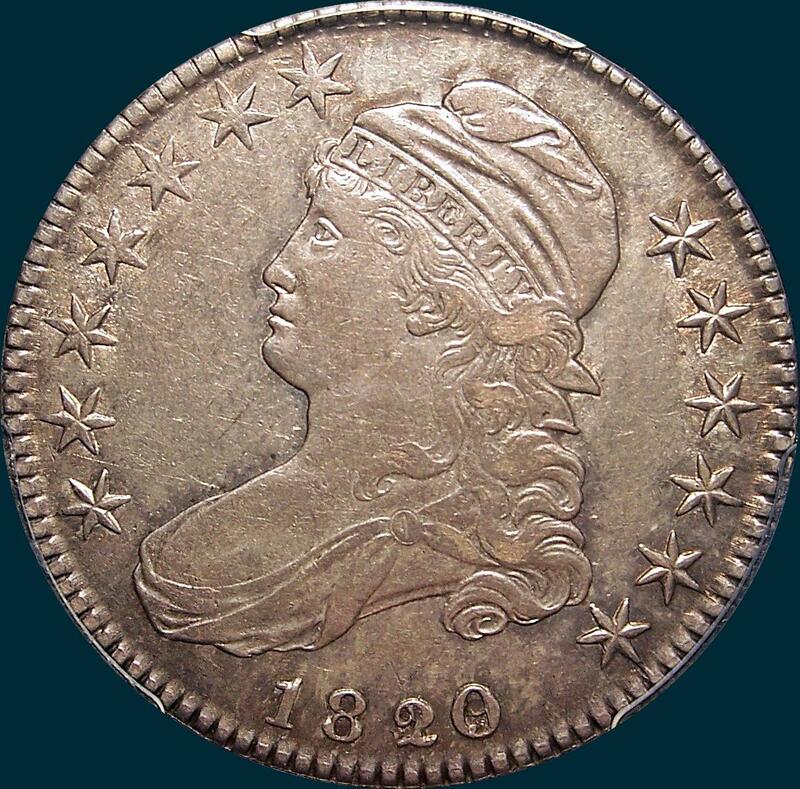 With a mintage of just 751,122, 3rd lowest of the capped bust series, ALL 1820s command attention. This is one of those examples of the dang old NGC holder made the coin look like it was over graded and not nearly as nice as what it actually is. 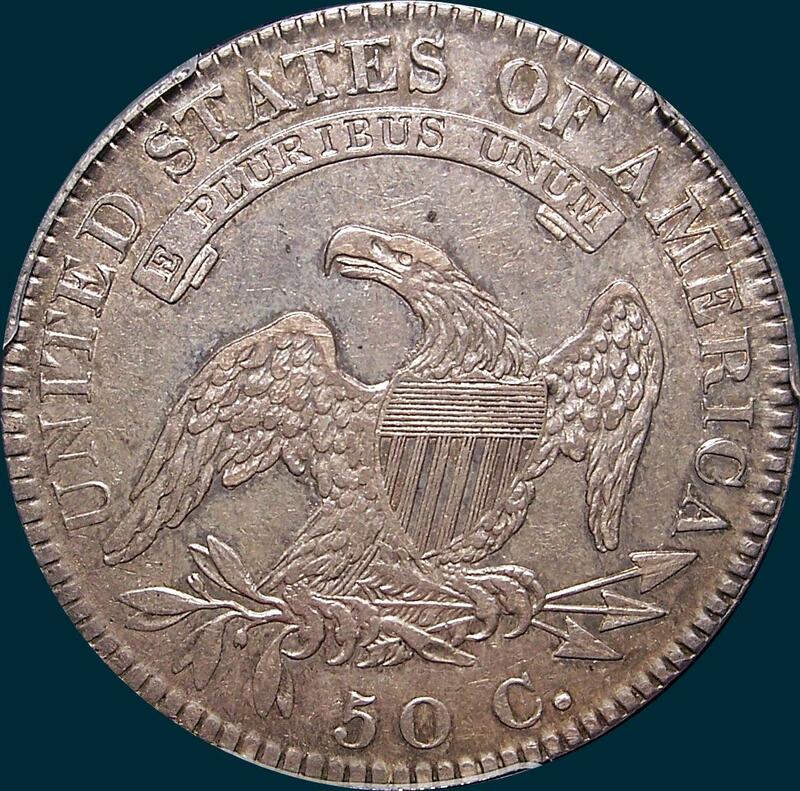 Variety Attribution: Obverse-1820 over 19. Small date is 9 mm. with small curled base 2 over 1 and nearly full 9 showing clearly inside the larger 0, 182 is wider spaced than 20, remains of 1 inside curl of 2 which is entirely closed. Reverse- 50 C. is 2 mm. with round figures and low. Arrow to A is 3/4 mm. A's have small defective serifs at lower right. Some show a small crack through OF.